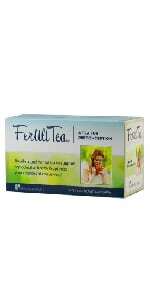 FertiliTea is a delicious herbal tea designed especially for trying-to-conceive women. 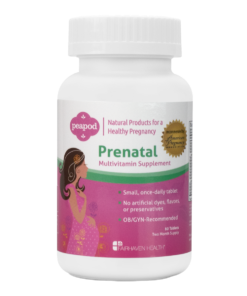 Supports overall reproductive health, encourages hormonal balance, and optimizes your chances of conceiving. Trying to conceive can be stressful. 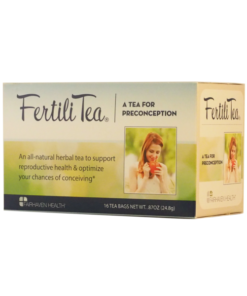 Take some time for yourself and enjoy a cup of FertiliTea – a natural and delicious herbal fertility tea designed to increase your chances of getting pregnant. FertiliTea brings together a handful of medicinal herbs long used to support hormone balance, promote menstrual cycle regularity, and strengthen and tone the uterus, which work together to optimize your fertility and reproductive health. Each bag of loose-leaf FertiliTea is vacuum-sealed for freshness and contains about a 1 month supply of this nutritive herbal tonic. 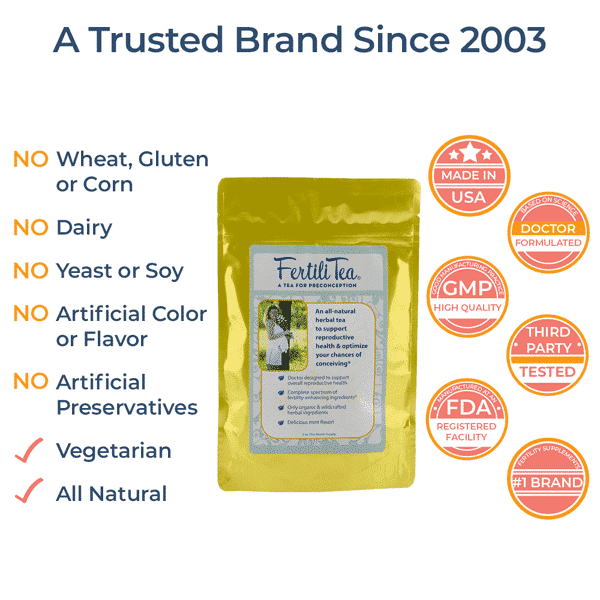 All ingredients are certified organic or wildcrafted, and of the freshest and highest quality with no preservatives or additives, and no sweeteners. Each cup of FertiliTea offers a zesty, refreshing aroma and delightful mint flavor – a perfect way to relax into your fertility. Vitex agnus castus, commonly known as Chasteberry, is the herb many women reach for at the first sign of gynecological troubles. 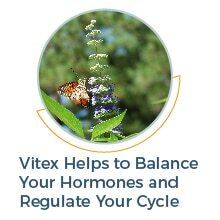 Vitex has been used medicinally for several centuries to relieve the symptoms of PMS, to restore regularity to the menstrual cycle, and to balance the hormones that impact reproductive health and fertility. Vitex is believed to work by acting on the hypothalamus and pituitary gland, both of which secrete hormones or send signals to other parts of the body to trigger the production of reproductive hormones. Vitex has been shown to help increase the level of luteinizing hormone (LH) while gently suppressing the secretion of follicle stimulating hormone (FSH). Vitex is also believed to maintain healthy progesterone levels, which is especially important following ovulation – or during the luteal phase of the menstrual cycle. Vitex’s impact on progesterone may help lengthen the luteal phase for women who experience a luteal phase that is too short. A short luteal phase, referred to as luteal phase defect, can be a reason women have difficulty conceiving and/or maintaining a pregnancy. Red Raspberry Leaf, championed as the “Women’s Herb” since the late 1500s, is recommended for all things female, from period cramps to morning sickness during pregnancy. It is highly regarded for its ability to tone the uterus and the muscles of the pelvic region, which is helpful in preparation for pregnancy and childbirth. Red Raspberry Leaf’s ability to act as a uterine tonic is attributed to its astringent (meaning, to cause contraction) activity, as well as the presence of the alkaloid fragarine in the plant, an active compound that helps to both relax tense muscles and to tighten muscles that are too lax. The tannins in Red Raspberry Leaf give it a taste similar to black tea (minus the caffeine! ), and, along with flavonoids in the plant, provide antioxidant support. Also, Red Raspberry Leaf is naturally high in several vitamins and minerals, including Vitamins A, C, E, the family of B vitamins, magnesium, potassium, and iron, which are all nutrients that you need on board to support a healthy pregnancy. Green Tea comes from the plant with the botanical name Camellia sinensis, and is most well known as a rich source of potent antioxidants called polyphenols. Polyphenols are supportive of reproductive health by helping to prevent oxidative stress, and thereby protecting egg cells from the damaging effects of free radicals. 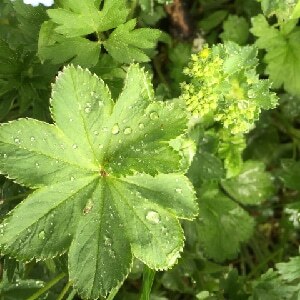 Lady’s Mantle gained a mystical reputation among early herbalists when it came to be believed that the morning dew that formed droplets of water on the leaves of the plant had the power to turn regular metals into gold. In more modern times, it has become known as the “Happy Uterus” herb, and it is often recommended as a “tonic” for the female reproductive system that can be used to relieve menstrual pain, cramping and heavy bleeding, and to tone and strengthen the uterus. Nettle Leaf, also called Stinging Nettle (Urtica dioica) is a natural diuretic and detoxifying herb that helps your body rid itself quickly of toxins. It has both astringent and anti-inflammatory activity, and is therefore recommended for relief of PMS symptoms and menstrual pain, and provides a toning effect on the uterus. It contains several nutrients that are critical to good reproductive health, including Vitamins A, C, D, K, potassium, iron, and polyphenols. 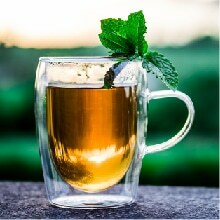 Peppermint gives FertiliTea a delicious flavor and has the added benefit of serving as a sexual stimulant. Drink up the restorative power of herbs to increase your chances of conceiving. FertiliTea brings together 6 herbs to make a delicious, mint-flavored tea that supports hormone balance, menstrual cycle regularity, and strengthens and tones your uterus, while also providing vital nutrients to promote fertility and reproductive health. A healthy and strong uterus is a happy uterus! As you prepare for pregnancy and then childbirth, give your uterus the love it needs to be ready to stretch to accommodate the growth of the baby, and then contract during labor and delivery. 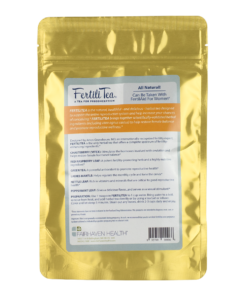 FertiliTea includes herbs traditionally used to strengthen and tone the uterus: Red Raspberry Leaf, Lady’s Mantle, and Nettle Leaf. These herbs are known for their astringent activity, which help the uterus contract and then relax as needed. These herbs also have anti-inflammatory action, which can be helpful for alleviating menstrual pain and cramping. Vitex to Support Hormone Balance and Cycle Regularity. Vitex helps to maintain healthy progesterone levels, which is especially important following ovulation. If progesterone levels are too low after ovulation, a fertilized egg is less likely to implant successfully. Refreshing and Energizing Peppermint Flavor. FertiliTea contains the botanical Mentha piperita (Peppermint), which gives it a zesty mint flavor. Peppermint is believed to increase energy and may act as a sexual stimulant. Nutrients Directly From Nature. FertiliTea contains Green Tea, Red Raspberry and Nettle Leaf, herbs that are rich in the vitamins, minerals, and antioxidants needed to support fertility and pregnancy wellness, like Vitamins A, C, D, K, the B vitamins, potassium, magnesium, iron, and polyphenols. Natural, Delicious, and Doctor Recommended. FertiliTea is Made Using Only Organic and Wildcrafted Herbs in an Approved Organic Processing and FDA-Registered Facility. Contains No Artificial Dyes or Preservatives and No Sweeteners. How Often Should I Drink FertiliTea? Some things about trying to conceive don’t have to be stressful. Take a few minutes to relax and treat yourself to a couple of cups of FertiliTea every day. Enjoy it hot or cold! 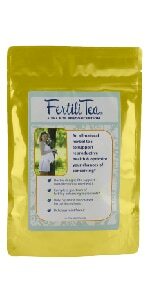 FertiliTea is naturally refreshing and delicious without any artificial sweeteners, sugar or stevia, but feel free to add a sweetener of your choice if you desire. What are the Benefits of a Loose-Leaf Tea? A loose-leaf tea ensures maximum freshness, flavor and, most importantly, nutritional support. Herbal tea leaves need room to expand in order to properly transfer all their nutrients. Our airtight, vacuum-packed, light-proof bags keep tea fresh for up to two years and contain no glues or staples that are commonly used in teabags. Use a tea ball to infuse the tea in a cup, or make an entire pot of tea and store it in the refrigerator for later use. 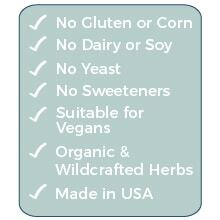 To make FertilTea, we source only certified organic and wildcrafted herbs. What is a wildcrafted herb? Good question. Long before herbs began to be cultivated through farming, herbalists foraged for edible and medicinal herbs in nature, allowing herbalists to collect the herbs during their natural season and at their highest potency. Wildcrafting, as this practice is known, is still alive today. For example, the supply of organically grown Lady’s Mantle is not sufficient to meet the demand, so we instead source wildcrafted Lady’s Mantle – picked from its natural habitat. Is There Caffeine in FertiliTea? FertiliTea includes Green Tea, an herb rich in antioxidants that contains a very small amount of caffeine. The amount of caffeine in one cup of FertiliTea is equivalent to 1/60th the amount of caffeine in a regular cup of coffee. 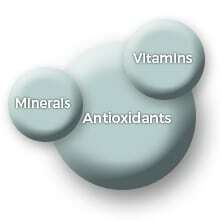 Wondering which supplements can be taken together? Save up to 10% on multiple bags! A ZESTY, MINT FLAVORED HERBAL TEA for When You are Trying to Conceive – Enjoy it Hot or Cold! Chasteberry (vitex) – stimulates the hormones involved with ovulation and helps restore female hormonal balance. It is used as an herbal treatment for infertility and is especially helpful for women with irregular cycles, failure to ovulate, or a short luteal phase. Red raspberry leaf – highly regarded for its ability to tone the uterus and muscles of the pelvic region. A highly nutritive ingredient, red raspberry is a powerful fertility-promoting herb, especially when used in combination with peppermint. Green tea – a powerful antioxidant that enhances reproductive health by repairing the oxidative damage that occurs naturally as the result of environmental toxins and aging. Much has been written about the positive correlation between green tea and fertility. Ladies mantle – a “tonic” herb that is useful in regulating a woman’s monthly cycle. It also exerts a toning effect on the cervix. Nettle leaf – contains a wide spectrum of vitamins and minerals that are critical to good reproductive health, including Vitamins A, C, D, K, potassium, phosphorous, iron, and sulfur; also contains calcium, key for conception and maintaining pregnancy. Peppermint leaf – gives FertiliTea a delicious flavor and has the added benefit of serving as a sexual stimulant. When do I begin use? You can begin use once you receive it! We recommend you drink the tea throughout your entire cycle, even during menstrual bleeding. How many cups or teaspoon portions can you get from one bag? One bag contains roughly a one-month supply. May I drink the recommended daily dose (2-3 cups) in one sitting or do I have to break it up through out the day? You can drink the tea as you like- in one sitting or throughout your day. Is this product only for women with irregular cycles, or can someone with regular cycles drink it too? FertiliTea contains herbs to help encourage hormonal balance and to optimize reproductive health. 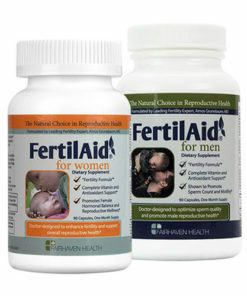 We recommend this product to all women who are trying-to-conceive. We don’t anticipate that you’ll see any cycle disruption, however, if you do notice some slight cycle irregularities, we’d expect to see it return back to normal after a cycle or two, when your body had fully adjusted to the herbs. Can I use FertiliTea with prescription medicines? While we not anticipate any concerns with use, we recommend consulting with your physician if you are taking prescription medication. 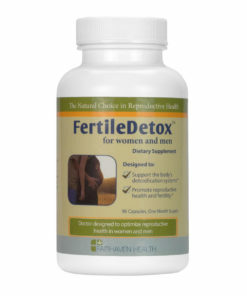 If I find out I’m pregnant, do I discontinue drinking FertiliTea? We recommend you discontinue drinking this tea once you confirm pregnancy with either a blood or urine test. 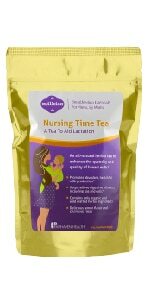 Can I use FertiliTea while breastfeeding? We would recommend that you wait to begin any herbal supplements until you have discontinued breastfeeding. Can I drink more than the three cups a tea a day? We would not recommend that you drink more than the recommended dosage. Can you use a sweetener? Yes, you’re welcome to add sweetener to it the tea. Can I drink it cold or does it have to be hot in order for it to work? You can prepare the tea either hot or cold, whichever you prefer. 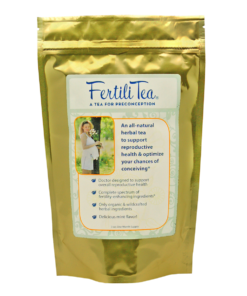 Is there any caffeine in FertiliTea? The amount of caffeine in one cup of FertiliTea is equivalent to 1/60th the amount of caffeine in a regular cup of coffee. Is this tea gluten free? Yes, it is gluten free. Would FertiliTea affect an ovulation test? No, use of FertiliTea will not alter the results of an ovulation test. Can I use tea bags instead of the tea ball? 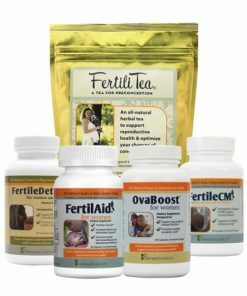 Can I take other Fairhaven Health products with FertiliTea? 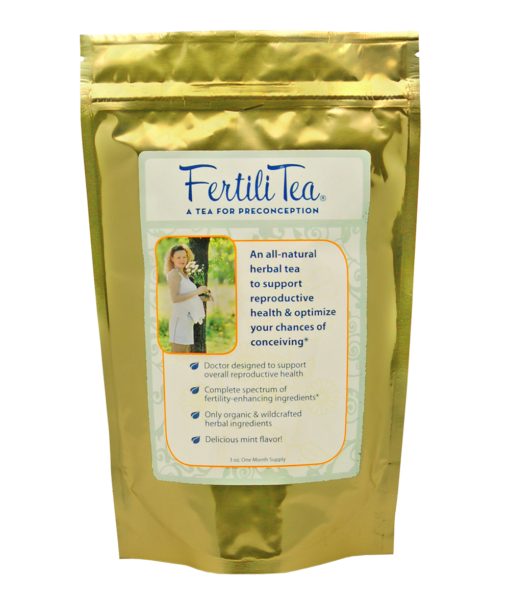 Please review our Women’s Supplement Guide for feedback on use of other products with FertiliTea. 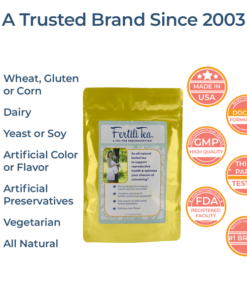 Dreaming of Diapers and Dimples reviews Fertilitea! Dr. Told me i would never have kids, instead of crying and stressing, i got fertilitea and one month later was pregnant!!! 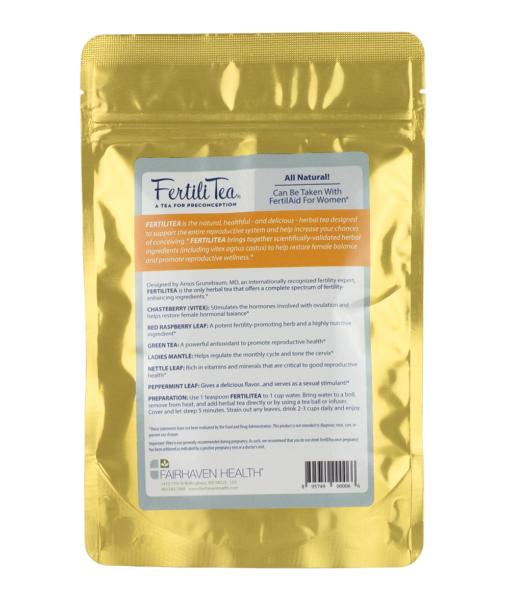 I now have 3 girls and 1 boy thanks to fertilitea! I purchased the fertility tea in September after trying to get pregnant for a year without success. I wasn’t overly optimistic but drank it as directed for a month. The tea is easy to prepare and the taste is amazing. 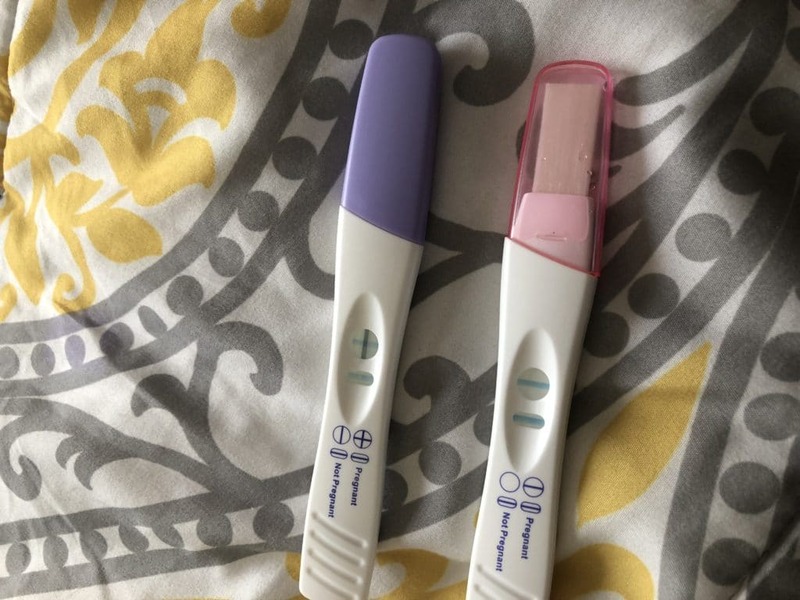 I got pregnant in October and I give full credit to this tea as well as the baby dance lubricant I received as a gift when I purchased the tea. Thank you fairhaven for helping make my dream come true! 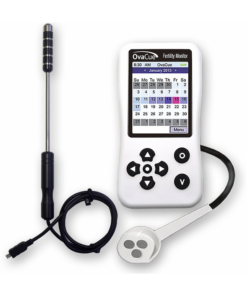 I was trying to conceive for about a year and then heard about this product. Shipping was fast and as soon as I received it I drank it two times a day for about 3 weeks and stopped after my ovulation. 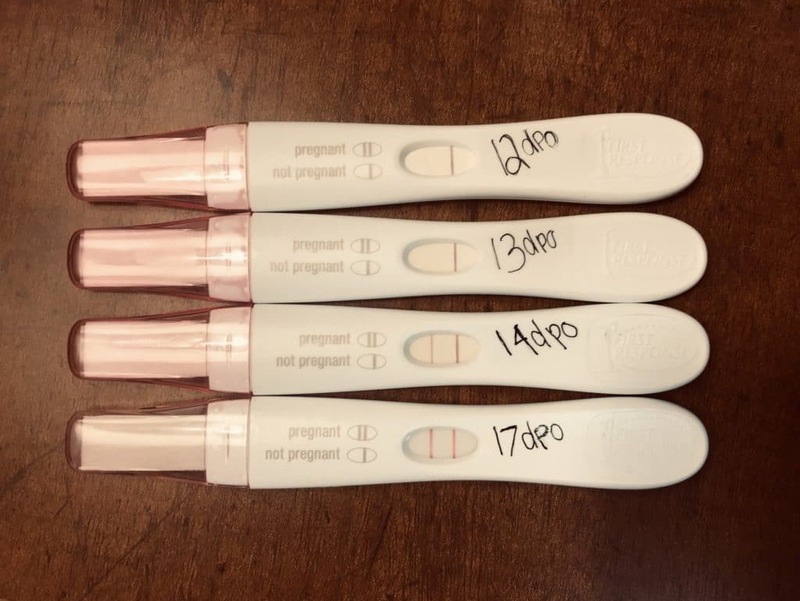 I did two pregnancy test today and now I got my BFP. I absolutely love this tea. It has been helpful in my hormones and everything. I have PCOS and I have found this tea to be very helpful so far. We are still trying to get pregnant but I do believe this tea is helping . I also bought the male tea for my husband and he seems to like it too. 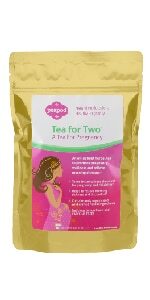 I only used two boxes of this tea and I already got my BFP!!! I was using two tea bags a day. One month on fertile tea and I’m just waiting to go to the doctor! First impression – tea tastes great, I’m watching my sugar so I used a little Stevia in it and it still tasted good. On the first day I took this tea, within a very short time after drinking it – it pushed out a bunch of CM. Well, a bunch for me – I don’t really get much CM normally. It only did this on the first time taking it – but I definitely feel that this tea might help me. I bought this tea originally Bc after just tracking BBT for my first 30 days, I suspect a possible chance of a short luteal phase…. and possibly a sensitive cervix Bc I get spotting after bowel movements about 5-7 days before AF. The spotting after BM only started a little less then a year ago – might be an age thing, I’m 32 now – no children, no prevention for 3 years. I also started having these weird periods too since then – I played around with taking Ovaboost and when AF visited , weird large bloody tissue chunks came around that I normally didn’t have. 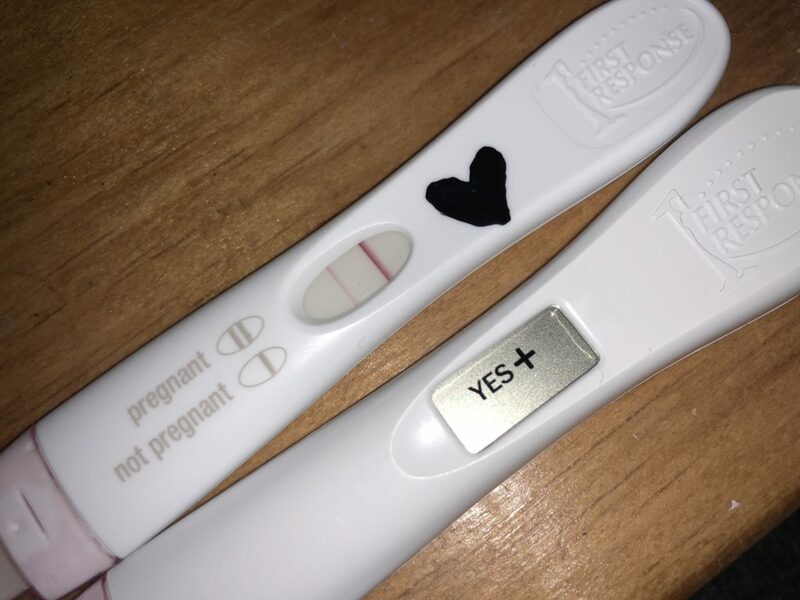 It wasn’t until last month when I started charting BBT and symptoms that I thought I for sure ovulated and when my AF came around – I was concerned that if my luteal phase is too short that I may be having miscarriages before they even get a chance to latch on…. thus the weird excessive tissue. I’m not a Doctor and I could be wrong but …. no harm no foul – I’m feel comfortable trying the products from fair haven without concern.